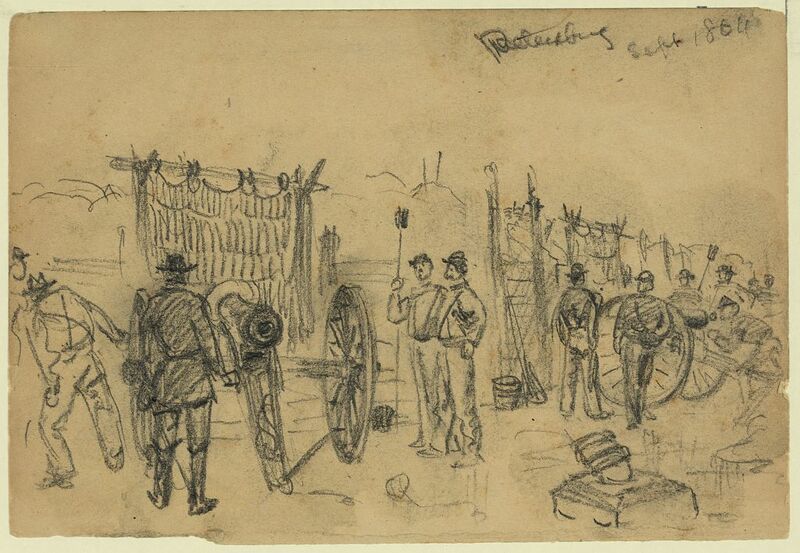 "Trenches, Petersburg," drawing by A. R. Waud [DRWG/US - Waud, no. 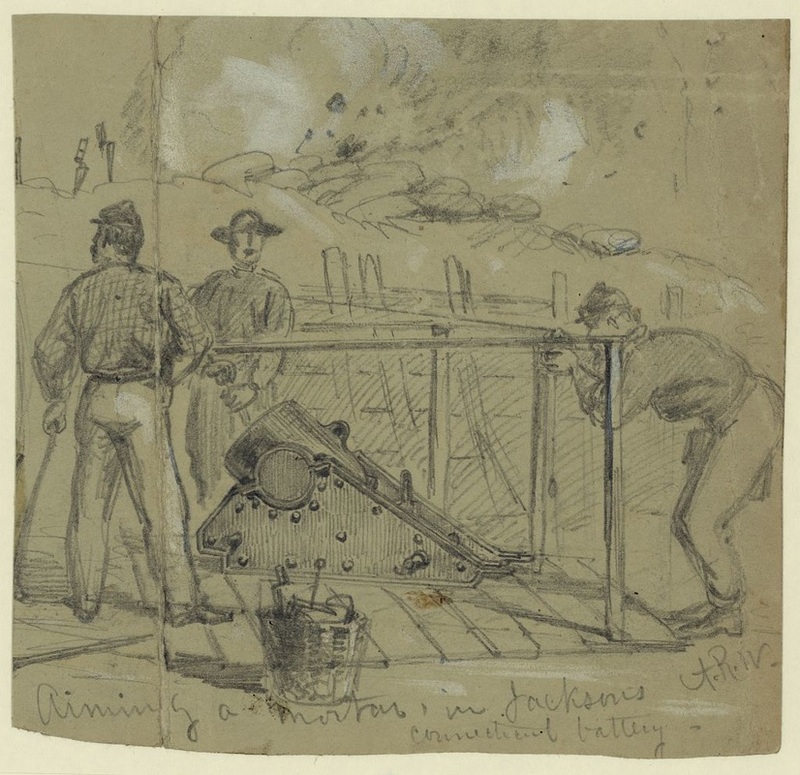 1080 (AA size)] Sketch on Hare House Hill. 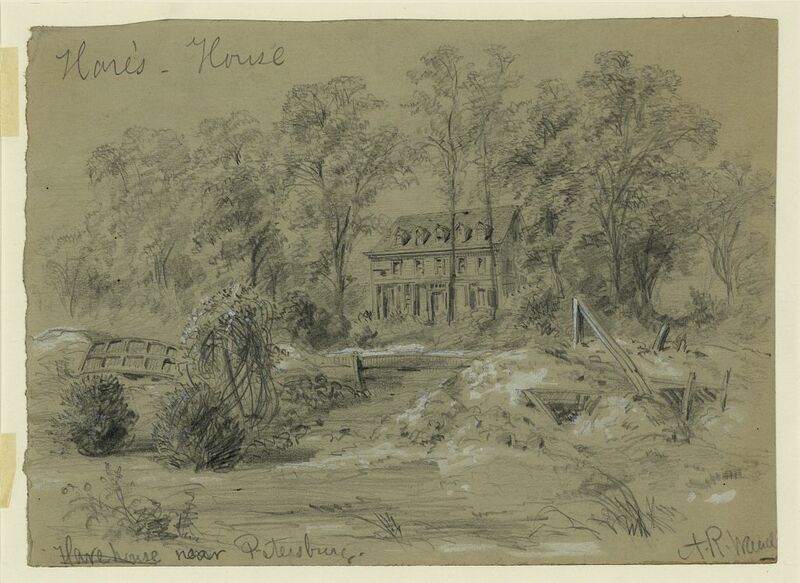 Hare House in background. 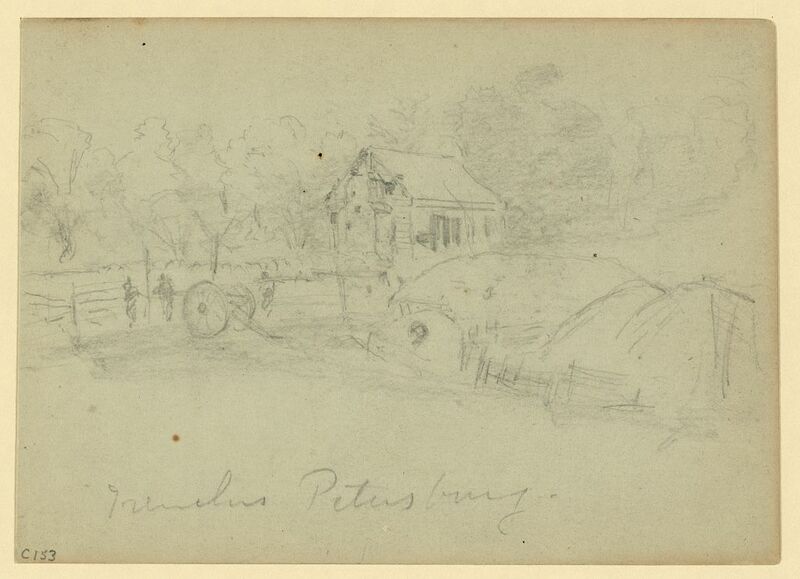 "Siege of Petersburg," drawing by A. R. Waud [DRWG/US - Waud, no. 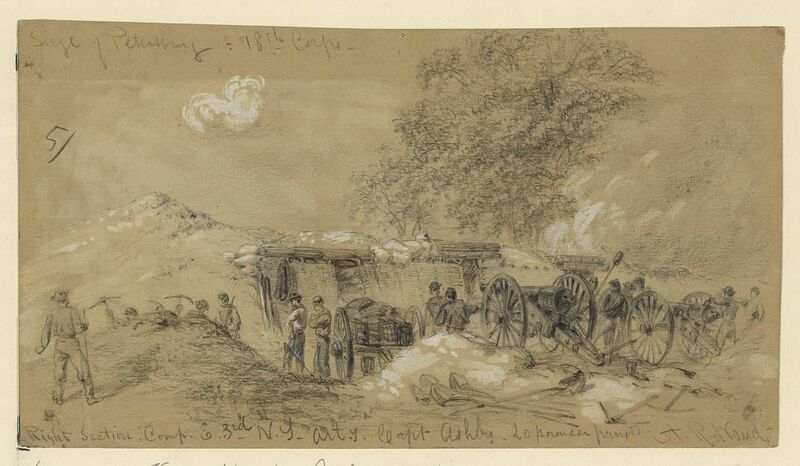 197 (A size)] Inscribed lower left: "on the front line of operations 18th Corps/protecting the gunners by mantelets." LC 21358. 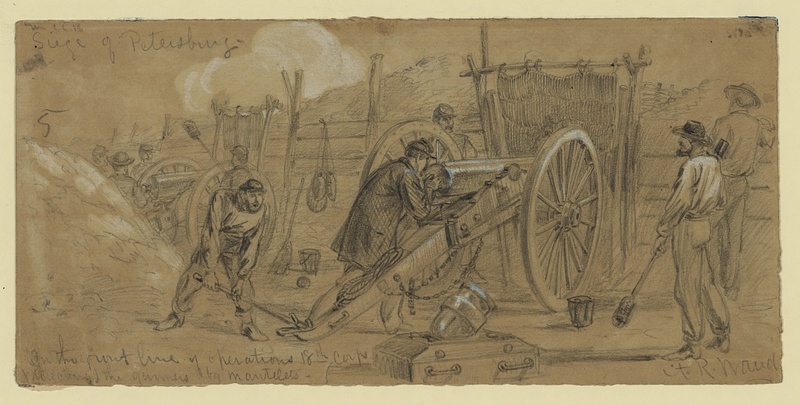 "Petersburg Sept. 1864"
"Aiming a Mortar in Jacksons Connecticut battery," drawing by A. R. Waud [DRWG/US - Waud, no. 451 (A size)]. 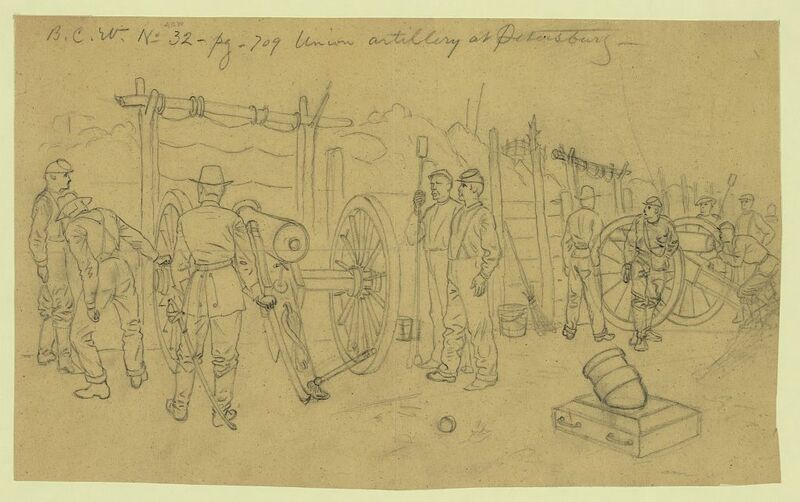 Note the bayonets placed atop the parapet as aiming stakes.